Presenting our ABS-Lock X-T anchorage point in moving images: Watch our short product video to find out more about its most important features! This stainless steel anchorage point (Ø 16 mm) and base plate (290 x 200 mm) are designed for easy on-top installation. Simply insert the 4 special toggle bolts included in the package into pre-drilled holes in the trapezoidal sheeting. 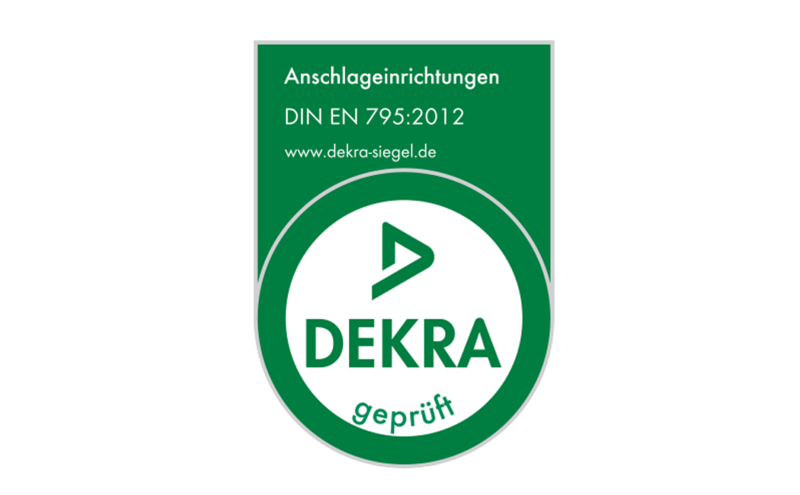 This device has been awarded national technical approval by the German Institute for Construction Technology ("DIBt"). 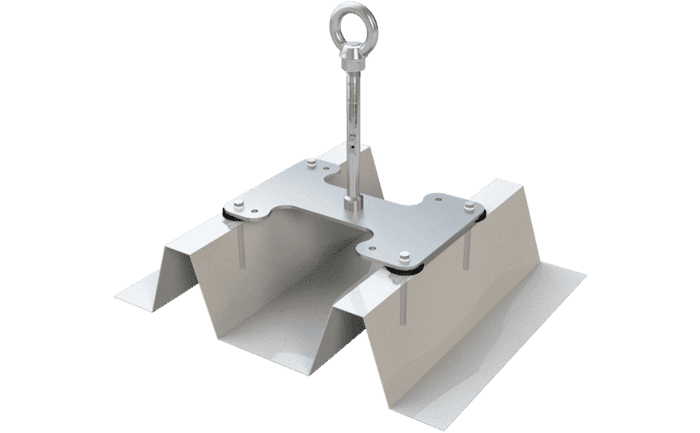 Are you looking for a fall arrest system which has been approved by the German Institute for Construction Technology ("DIBt") for a roof made of trapezoidal sheeting? Then our ABS-Lock X-T anchor is just the one for you! This stainless steel anchorage point is equipped with a special rod (Ø 16mm) which was designed to buckle under stress. The anchor has been awarded national technical approval ("abZ") and bears the corresponding Ü symbol. 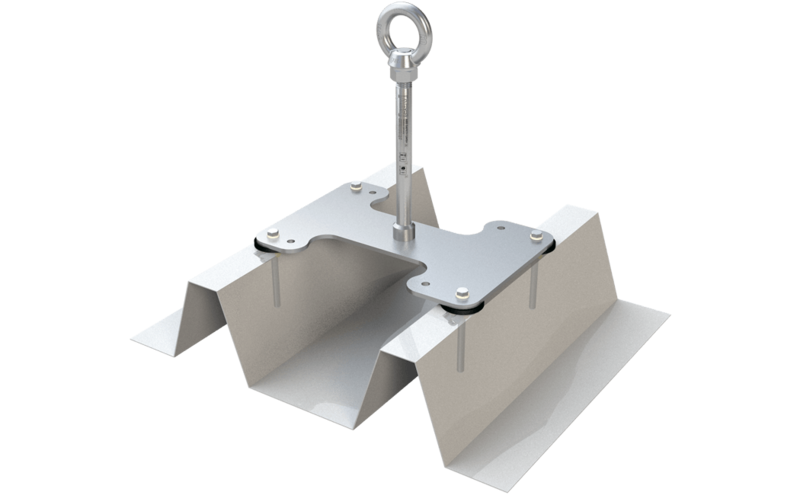 This anchorage device was specially devised for trapezoidal roof sheeting (positive and negative). It can be deployed either as a single anchorage point or as a bracket for safety components in a lifeline system. This safety solution is installed using 4 toggle bolts which are included in the package. 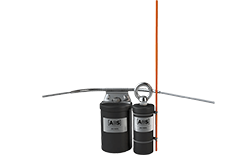 Our anchorage point has been tested for lateral loads and is capable of simultaneously protecting up to 3 workers from falls. Round up your safety concept with a special PPE set for roofers.